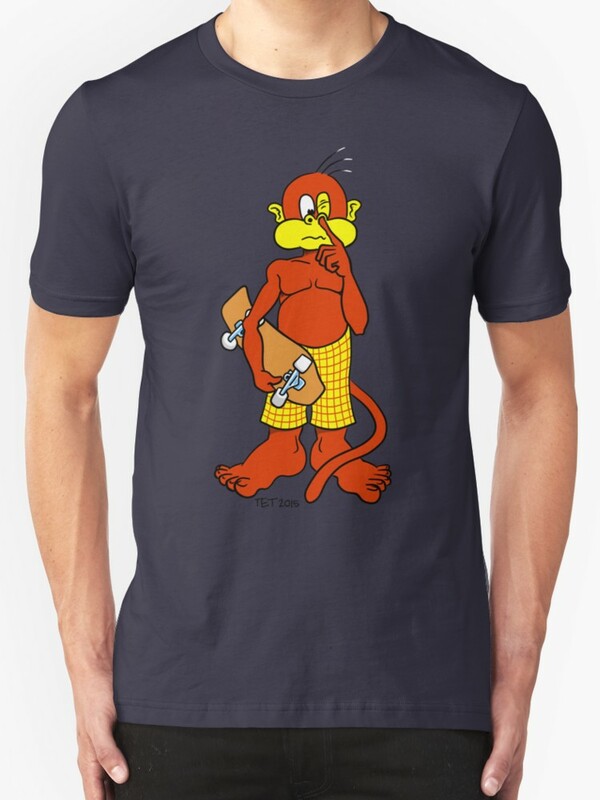 Revisiting My Redbubble Online Store - Here is Your New T-Shirt, Hoodie, Sticker, Phone Case etc. 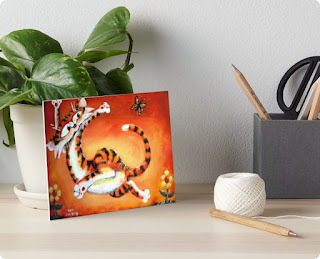 Redbubble is an Australian, Print On Demand website that was founded in Melbourne, back in 2006, and has become a global choice for independent artists worldwide to sell prints of their work. I've had an online store with Redbubble pretty much since they launched. For the most part I limited the art I posted on Redbubble to my, popular for a second, whimsical, cat artworks. It has been quite a few years since I've painted any cats, and the followers I had for them have certainly thinned out. I was going to shut down my Redbubble account to focus on my Cafepress online store but Redbubble just has better quality prints all round at very affordable prices. In particular, Redbubble's clothing has some of the largest print area for shirts I've come across. Designs can take up the entire front panel in some clothing options, which is great for my etourist Skateboards deck designs. Moving forward I want to focus on creating more skateboard graphics for my etourist Skateboards online store. Skateboards decks can be expensive and, if you really love the deck graphic and don't want to scratch it skating, it's a lot to spend on something to hang on your wall. The perfect team up with skateboards is clothing and stickers, both of which Redbubble does well and at very affordable prices. Whilst you can still buy my cat designs from Redbubble I'm changing direction and making my skateboard deck designs available on T-Shirts, Hoodies, Stickers, Phone Cases, Wall Prints, bags and more. 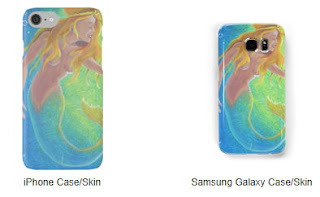 Mermaid Phone Cases for iPhones and Samsung. I've also been through and reviewed all my Redbubble artworks to make sure they look great on the product selection I've chosen to put them on. Many of Redbubble's product range wasn't available when I uploaded my art, and Redbubble simply made artworks available on many items with the default settings (which definitely didn't always look great). Just in case you've never heard of Redbubble and want to know how it works, watch their video below. As Redbubble says, You get a thing you love. An artist gets paid. What’s not to love? So why not head over to my Redbubble online store and check out my entire range of artworks and the products they're available on. Almost all are available as Art Board Prints - which is an extremely affordable way to purchase my art at a small size suitable for putting into your own wall or desk frame (or just display it as is).